The best way to manage a website today is to turn to smart web hosting services. But as your business grows, your website demands expansion with more data and more traffic. And thus, your hosting needs will also increase. This is where VPS or Virtual Private Server hosting comes to rescue. For a website which is too small for Dedicated Hosting but too big for Shared Hosting, VPS Server Hosting fits right in between the two. 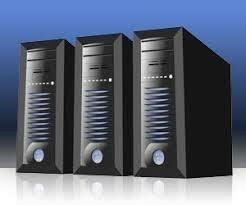 With this hosting service, you can avail more system resources, making your site faster and perform better. Also, VPS resources are scalable enough to meet your urgent expansion needs. But knowing the basics of VPS hosting is not enough. You also need to find the right kind of hosting provider to make the most of this technology. With endless options available in the market today, it is indeed a tough call when deciding on your VPS host. We bring you a comprehensive study of major players in the hosting business and compare features of these service providers to help you make a choice. One of the most sought-after hosting service providers, ResellerClub offers VPS Hosting environments with robust hardware. With managed software, hardware, network, security, and other operational resources, this hosting provider has gained a lot of popularity among site owners. They feature an easy-to-use cPanel which makes it hassle-free site management. This hosting provider boasts one of the cheapest VPS hosting plans but with utmost server reliability and performance. They specialize in Linux based operating systems which they can instantly install for you. One of the leading names in the hosting landscape, HostGator boasts a top-of-the-line VPS Hosting service with cutting-edge server hardware. They allow full root access to your admin can run custom software without any restrictions. Full root access to start, stop, rebuild and more. While each of these hosting services come with their best features, always do your own research and see how the services align with your business needs and objectives. Seek expert advice and ask questions to your host before you make the final call. Good luck!